The JUMP DROP version, is named because the second descender of some glyphs DROP below the line, while the first descender of others JUMP above it. 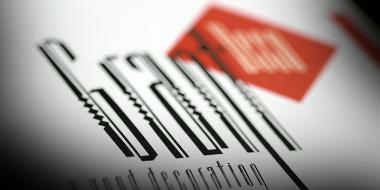 If you wish to use this font commercially please email djnippa@hotmail.com for license. 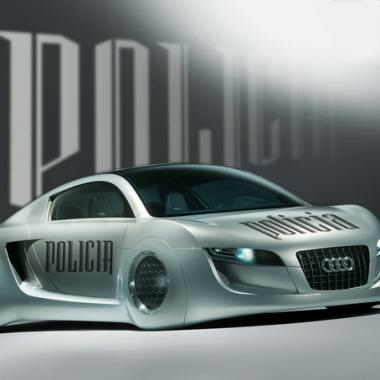 The Neo Policia Concept Car! Added a variation of N, and a spot divider. This is real nice Nippa. I really like the contrast of thicks and thins on characters like a,e,s,x, and z. Reminiscent of Jordan Jelev & Svetoslav Simov's Grant font. 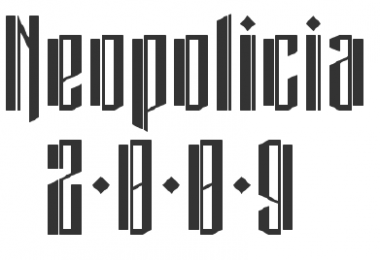 I think you should include a link to Grant in the descriptions of your other two Neopolicia fonts too. Yes, I only had the sample below to go off. I didn't know what the font was called. They have quite a few different characters, plus I think their version is way too condensed. Thanks for showing me the link, interesting to see the differences. 100% of every font ever designed in the world are based on a previous font, after all they are simply shapes that must be adhered to. How many variations of Helvetica are there? How many typewriter fonts, Black Letter, Art Deco. The fact they are in catagories denotes they are similar by fault. This is the poorest decision to be made by Fontstruct. This will get every ones back up. Maybe it had something to do with the fact that it was Top of the Top Picks. A very poor decision, and the worst move Fontstruct have ever done. I'll remove these fonts once this discussion has concluded. You have really upset the happy nature and good will of this site. What do you do about Cloning. Surely anything cloned from now on would ever get a Top Pick? Your going to have to revoke at least 20% of the Top Picks in that case. Then there's the ones that are based on other Fontstructs that's another 40%. Then the ones that are based on other fonts outside of Fontstruct, that's another 30%. You've got a lot of bad kharma coming your way. I guess that's stopped now. The party pooper has arrived. A reply has been posted on the NCD Neopolicia Harlequin thread.